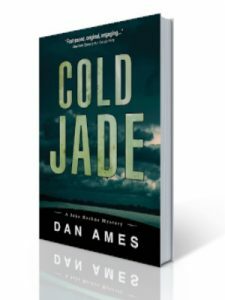 I’m really excited about this one: COLD JADE the third John Rockne mystery is out now! Once a cop in the well-to-do Detroit suburb of Grosse Pointe, John Rockne was dismissed from the force after making a tragic mistake that resulted in the brutal murder of a young man. Now working as a private investigator, John is hired by a man whose daughter is missing and he soon discovers the young woman was living a secret life under the name Jade. John quickly realizes the world Jade had entered was a dangerous one filled with thieves, drugs, pimps and murderers. He has no idea if he can find her…and bring her out alive.